Hi folks! 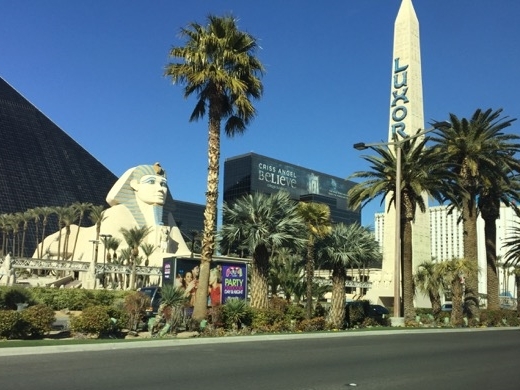 I'm home from Las Vegas and carving out some time to write about my first time at this convention. There's a lot to write about. First off, a big thanks to Frontline Gaming and the Wargamers Consortium for hosting an event like this, I know it's a ton of work & planning. And a HUGE appreciation to my friends Clint & Yeji for letting me be their guest. They were wonderful, generous hosts and I had a great time hanging out with my friends in person! 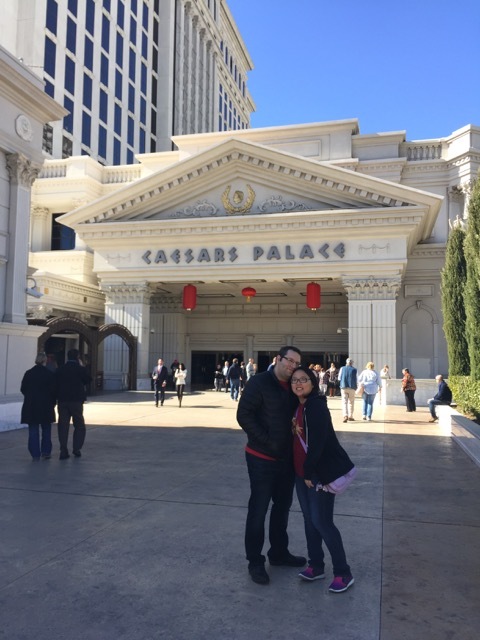 Last Wednesday, after working long days at PAX South handling hundreds of people's brushes, I was feeling a little under the weather, but after lots of sleep and vitamins, I bounced back in time to pack for the Las Vegas Open. 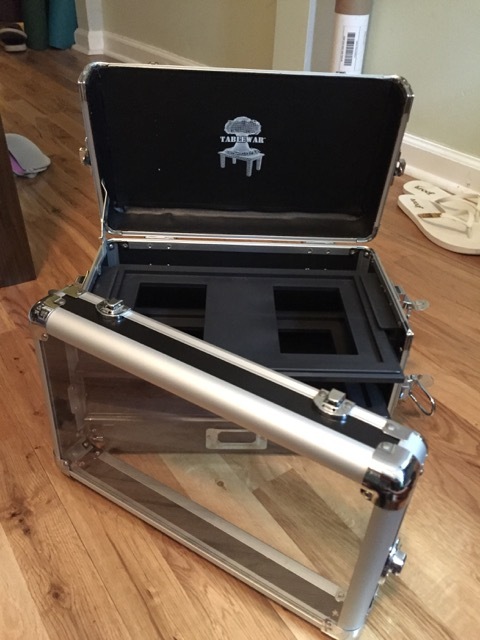 I opened my new TableWar case that my sister bought me for Christmas and started packing my miniatures carefully into the box. I did notice that one of the latches didn't stay closed and didn't line up correctly no matter how I tried to align it (see middle photo below). 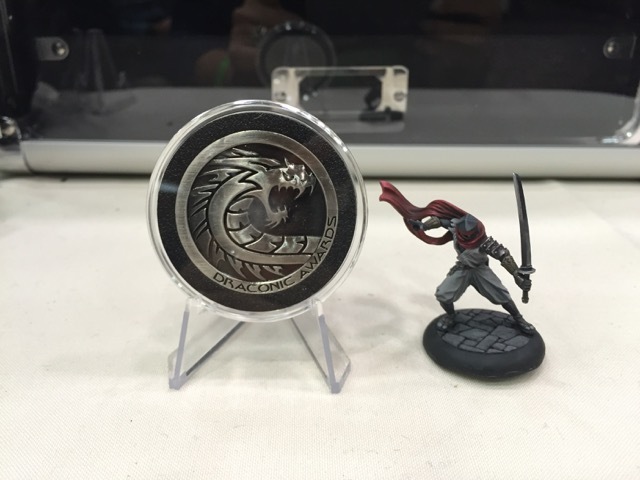 At the convention, I asked Doug and Todd about it while stopping by the Tablewar vendor booth and they said it seems to be a manufacturing issue and they offered to exchange it for another model. 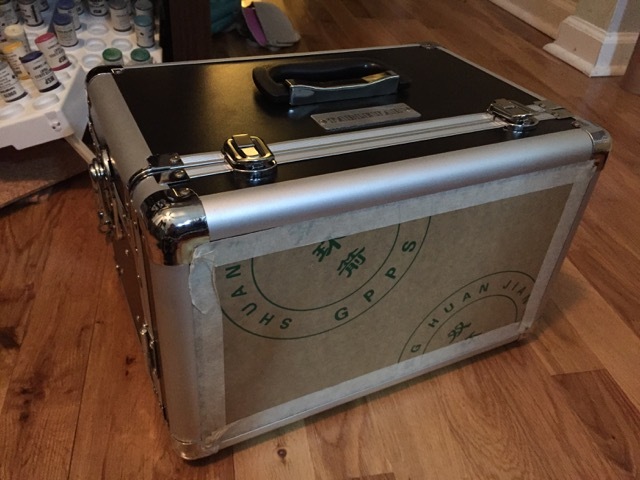 I appreciated their excellent customer service and my new case fits together so much better! 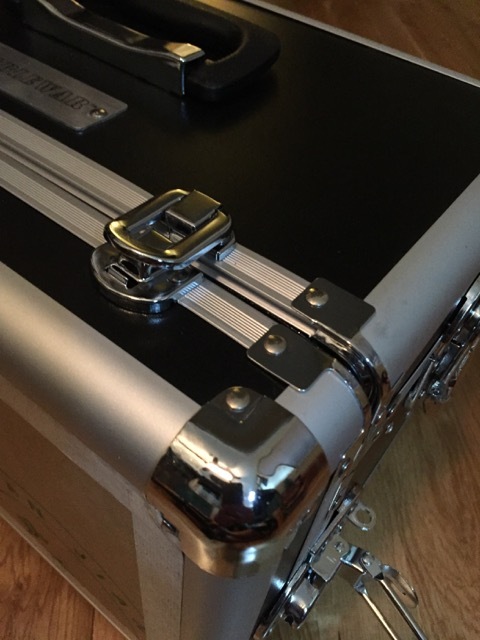 Flying with it was an easy experience– airport TSA didn't have any problems with this going through security and it fit perfectly under the plane seat so I could keep it by my side at all times. 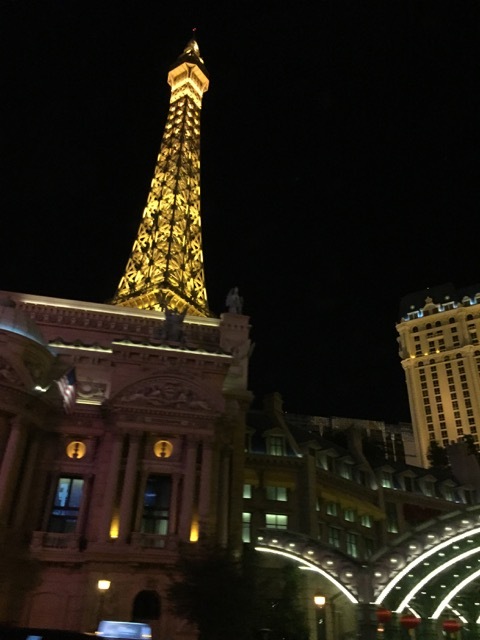 Once I arrived in Las Vegas, I stepped off the plane to be bombarded with flashing lights and bright slot machines– it's almost as if the city is screaming at you to spend your money everywhere you look. 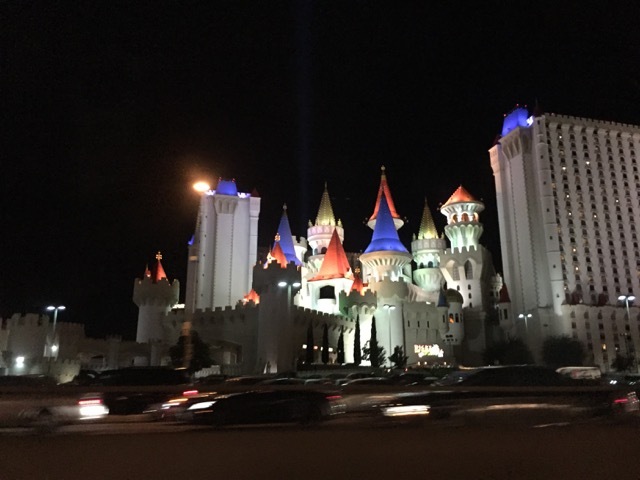 The buildings are absolutely over-the-top (the Excalibur hotel is built like a castle) and I kept saying "Wow, what is that?" like a starry-eyed five year old as Clint & Yeji picked me up and drove me around for a quick tour of the city. 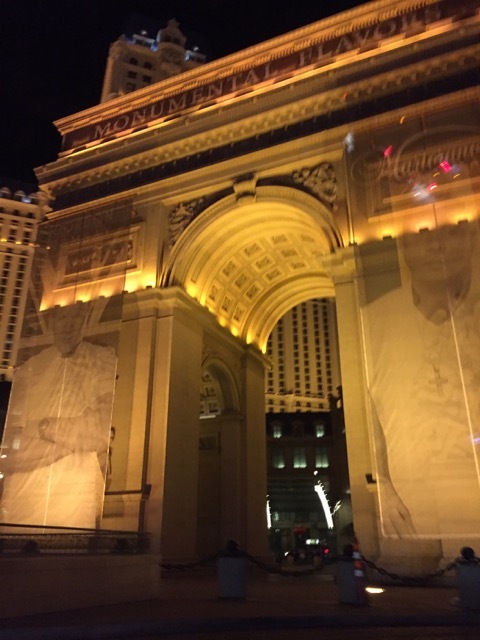 They had places where you can pay to shoot machine guns in an enclosed area,and flashy advertisements for restaurants and show entertainment on every blinking billboard and street corner. This city is insane. Also, the food here is fabulous. More on that later. 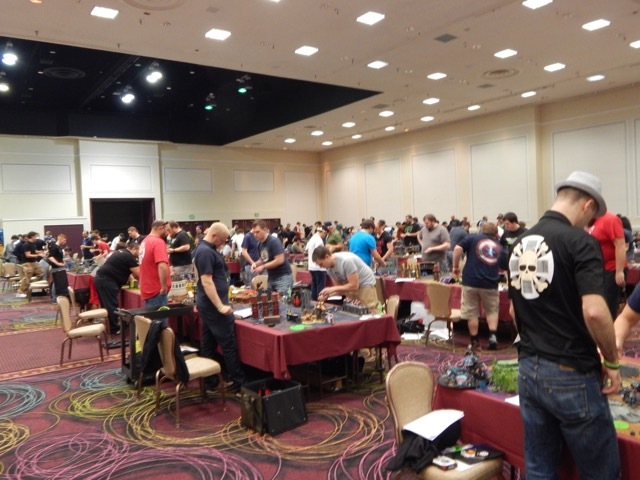 The Las Vegas Open took place in Bally's Casino this year and the open ballroom hosted many tables for tournament games that included Dropzone Commander, Warhammer 40k and 30k, Malifaux, Infinity, X-Wing and more! On one side of the ballroom was a vendor hall that included reps from Tablewar, Privateer Press, Badger Airbrush Co, Games Workshop, Battlefoam to name a few. I finally broke down and purchased a Badger Airbrush Patriot 105 starter kit. I've never used an airbrush before, though I took Lovejoy's "Airbrushing 101" class at ReaperCon '15. As I push myself to be a more efficient painter, I need to use it for smooth priming and marking out interesting lighting effects on miniatures before I jump into my usual brushwork. I'm starting with the Patriot 105 since it's highly recommended for beginners. Aaron says "Too many people try to upgrade too quickly to the most expensive airbrushes. The Patriot airbrush is a workhorse and if you're having problems with it, it's not the airbrush, it's you." Good to know! 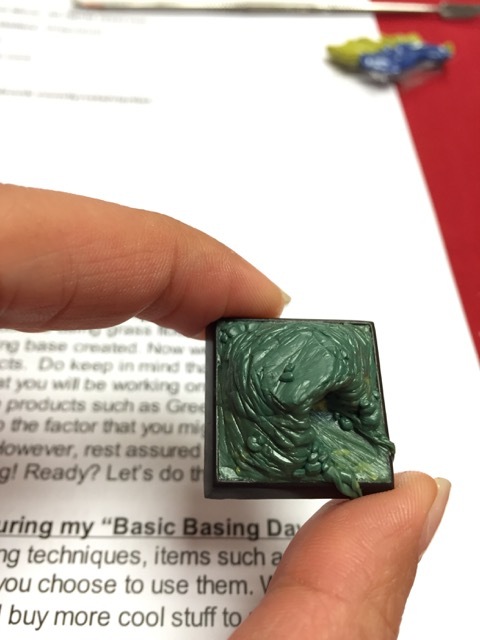 I value learning from the ground up and I want to make sure I practice the basics before I advance to other techniques. My favorite vendor at LVO was Zombiesmith. I bought many of their smaller scale miniatures, including some bunny mechs (yep, you heard me right!). I met David and Josh, both cool guys who have some great games, art, and quality minis to share. 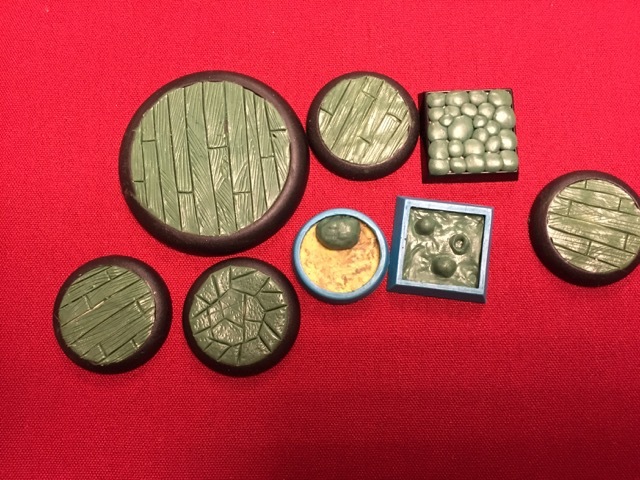 I hadn't heard of their company before LVO, and I'm glad I found them– maybe one day I'll branch out and play the game. 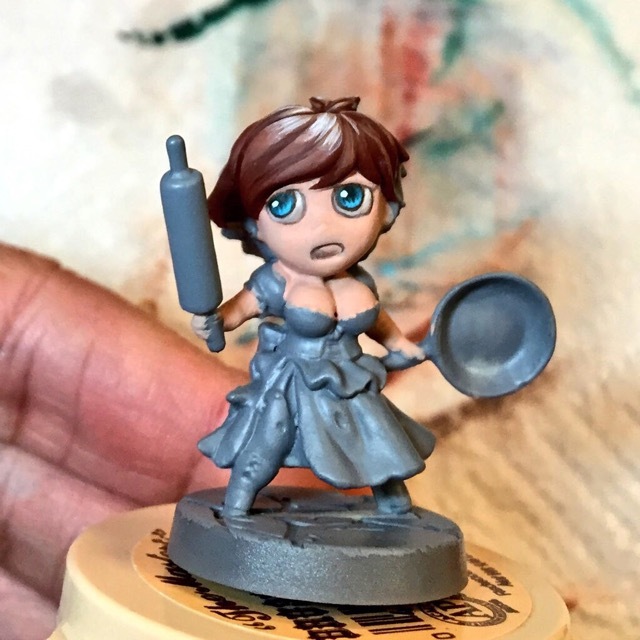 Until then, I'll have some fun minaitures to paint up when I have the time! 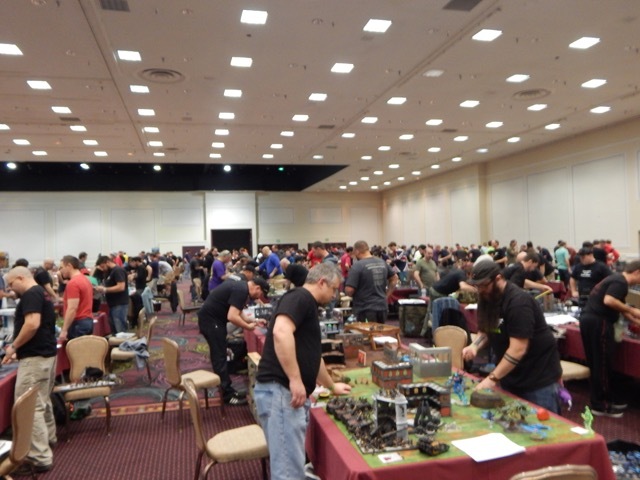 LVO is largely a tournament-focused event, which means the main ballroom is less painter-friendly than other conventions you may have attended. Now when I say it wasn't painter-friendly, don't get me wrong– it wasn't unfriendly, there just weren't places to set up shop or areas to find the guest artists when they weren't teaching classes. For example, Jillian Walker, from Foxtail Studios, wanted to share some monochrome painting techniques at a table outside the ballroom close to where the classes were being held. However, Bally's security asked us to leave, and we finally managed to find an open table in the main room to sit and talk shop over the high noise level. Some conventions will have a place for the folks who are teaching lessons at tables with electricity run under them (for lamps, etc) so you can come up and ask them questions, get painting tips, and converse in between classes. I do hope LVO incorporates a few paint tables into their layout planning. Painters don't need much– maybe some tables against a wall with an electrical socket. 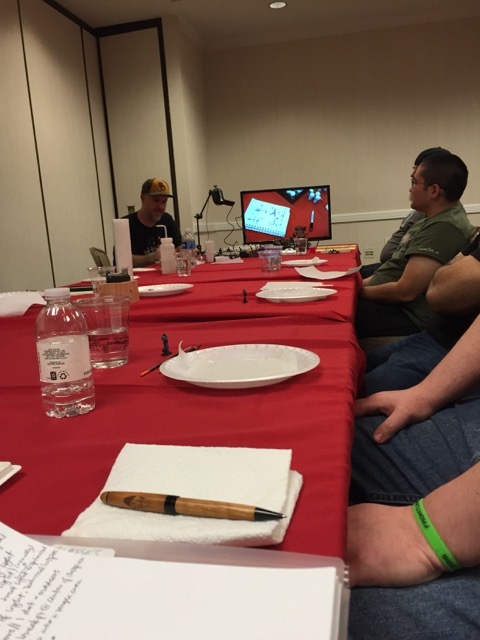 We spent as much time as possible with the Wargamers Consortium folks, hovering around the table they had set up for the Draconic Awards. They're some cool folks and worked hard to accomodate and fairly judge the influx of competition entries this year. However, it just wasn't a good place to stay and chat since we mostly ended up getting in the way as people submitted their painting entries. 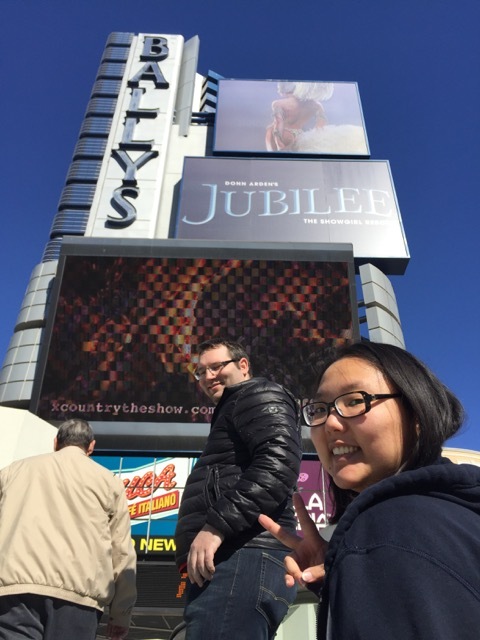 Since we couldn't find a good place to comfortably land, we went exploring outside Bally's casino– Chinese New Year was happening the same weekend as the Super Bowl, so there were plenty of people to watch and things to see out on the town! 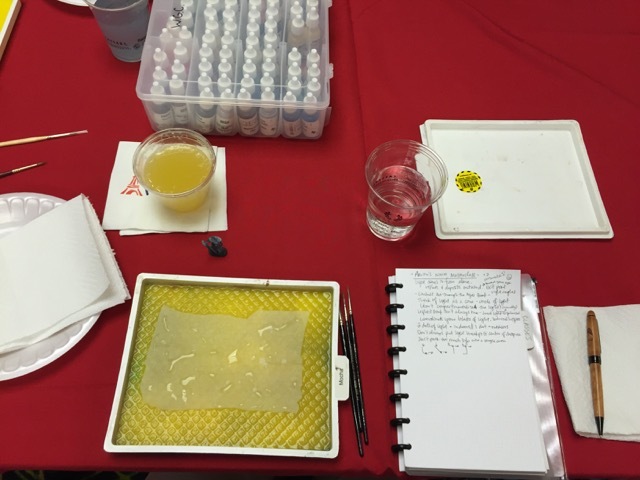 Here are some more photos of each of the classes! It really was wonderful to meet some of the folks whose work I've been following online for quite some time as well as meeting the Wargamers Consortium crew. 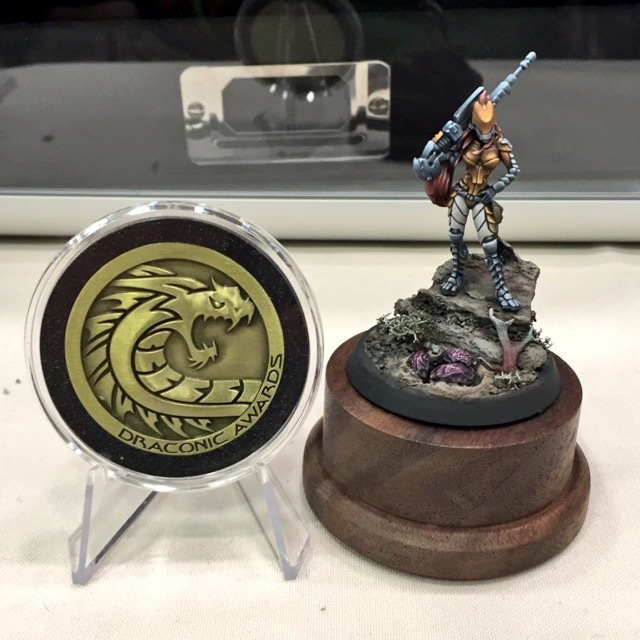 It was also a great experience for me to attend another convention (usually I can afford enough vacation time/travel expenses for one out-of-state con per year) and I was happy to be able to enter a few miniatures in their contest– the Draconic Awards. There were some amazing entries this year! I'm grateful for my wonderful friends Clint & Yeji who made my stay awesome (I'll have to post more adventure/foodie pics in another post) and to the great artists and gamers who inspire me and support me in my painting journey. One day, I'd like to find the time to learn more about competitive tournaments (I'd probably start with Infinity) and expand my knowledge of the gameplay. In the meantime, I'm going to use this momentum to jump into some new projects and write more about PAX South from the week before last. 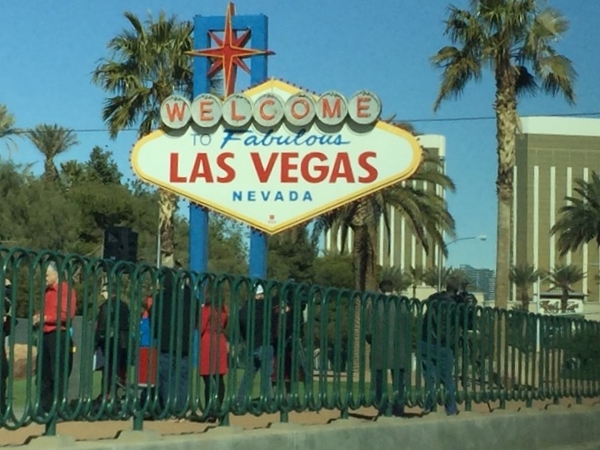 I attended two conventions in two weeks– one as a rep and another as an attendee. Whew, I have a lot of catching up to do with both blogging and painting!